Ten Northwest wines appear on Wine Spectator's 2016 Top 100 List released today. Two Oregon wines placed in the top 10, including Domaine Serene's 2014 Evenstad Reserve Chardonnay at number two and Beaux Frères' 2014 Ribbon Ridge Pinot Noir at number three. Walla Walla Valley's Reyvaan 2013 The Rocks Syrah came in at number 13 and was among three wines that earned the lists' top score of 97 points. In addition, their selection prioritizes quality (based on score), value (based on price) and availability (based on the number of cases either made or imported into the United States). 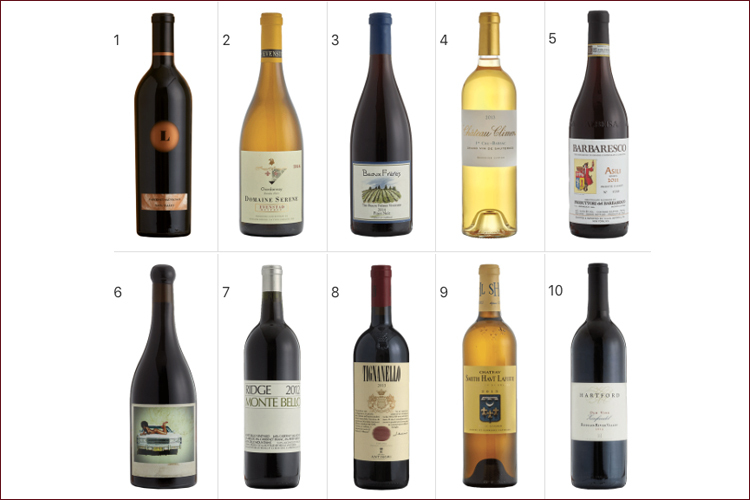 These criteria are applied to the wines that rated outstanding (90 points or higher on Wine Spectator's 100-point scale) each year to determine their Top 100. Check out the entire list at the link below.